While the season has been running a week behind last year, the recent warm weather has brought picking forward and it's now 'full steam ahead' for the next few weeks. To date; the early picks have been coming off lighter than expected, the lack of rain in July contributing towards smaller than anticipated fruit size' especially where no irrigation is available. The warm nights have not helped with colour development on Cox and some growers have decided to pick Gala ahead of Cox. 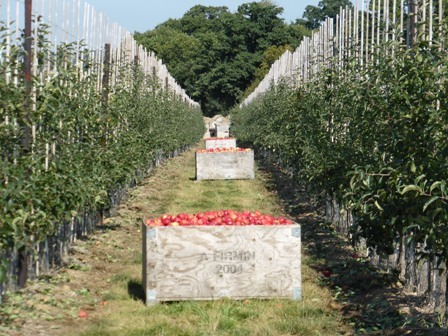 On Wednesday (14th) The English Apple Man visited Bardsleys 'Blue House Farm' at Marden in Kent where Gala picking on young trees was in progress. The trees are only in their 2nd leaf (e.g. the second summer since planting) but already carrying a god crop of high quality apples. 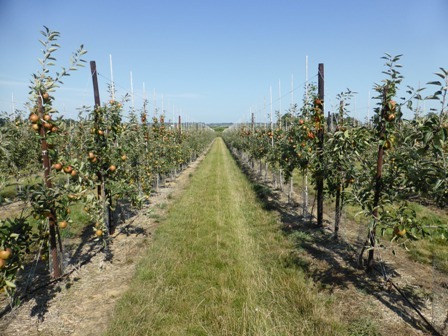 Two orchard areas 'sit side by side' with Gala Schniga planted on conventional 'single stem' trees and Gala Annaglo planted on Bibaum twin leader trees. With Cox struggling for enough red colour; we have not been getting the 'day / night' temperature contrast required for good colour development, so with Gala starch falling on these young trees, the decision to pick Gala for early marketing was a sound one! Now in their 2nd leaf (second summer in the ground) these Gala Annaglo are yielding circa 12 tonnes per hectare. With the hot weather (it was in the mid twenties) it is very important not to allow the fruit once picked to sit in the heat of the sun, while waiting to be transported to the cold stores. A cool place out of the sun can be 'behind a windbreak' or behind a stack of empty bulk bins. 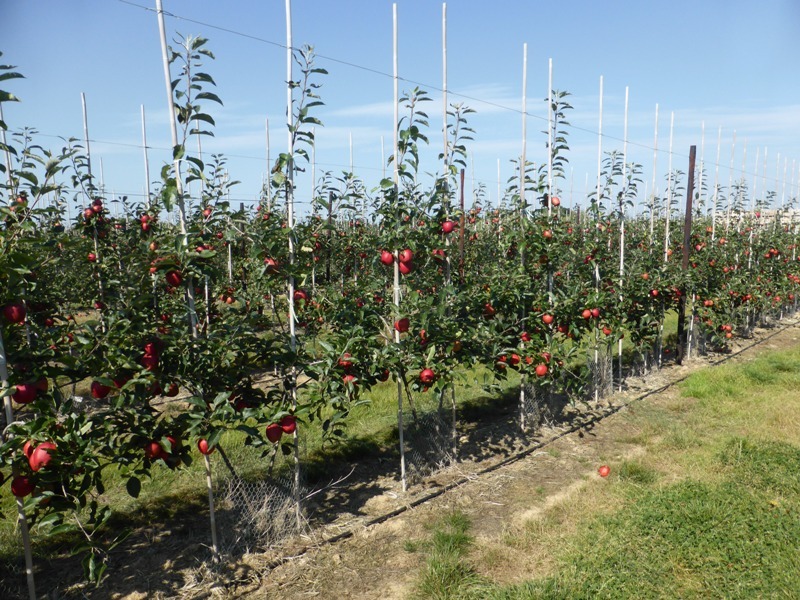 Also on the farm, a young orchard of Braeburn Mariri Red (Braeburn mutant, discovered in Mariri in the Nelson Golden Bay in New Zealand) - harvest for Braeburn will not come until early/mid October; the red colour will come as harvest nears and the colder nights enhance red colouration. 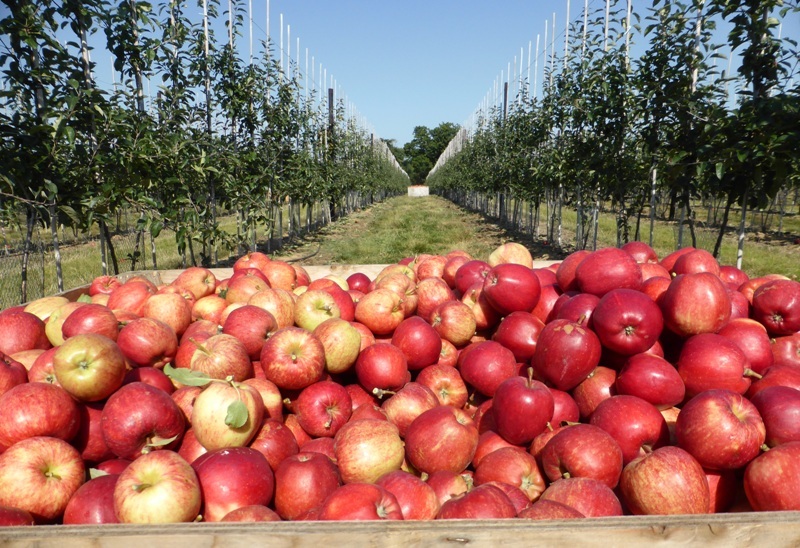 Returning to the subject of good colour development on 'bi coloured' dessert apples; Cox, Gala and Braeburn are among the 'high profile' varieties where good colour is an important selling point, the drive for more colour has been going on for the last 30-35 years. By nature Cox (our national apple from post war years until recently when Gala overtook Cox on volumes grown and sold) was always considered shy on colour and the legal standard for Class 1 was a minimum of 10% block or stripey red colour on the surface area; the original Gala apple fell into the same category, but with the advent of Royal Gala (Tenroy) a mutant clone from New Zealand, the drive for more colour 'stepped up' and the number of coloured Gala clones continues. Gala Schniga, Gala Annaglow, Gala Royal Beaut among the current favourites. Cox has also been on the 'seeking more colour' treadmill, with Queen Cox delivering better colour and in recent years Cox Lavera delivering sufficient red colour for; 25% red colour sought be Supermarket specs. The Supermarkets often get blamed for demanding higher colour in their specifications, certainly more than the EU specification demands, however, it is the consumer who ultimately decides and with higher visual quality arriving in UK Supermarkets, from countries who are sending 'export quality' the standard of 'home grown' apples has naturally followed suit. 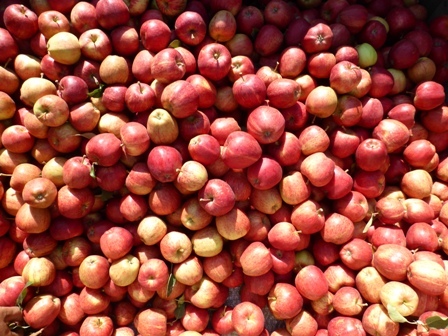 Braeburn started out with minimal red colour, again 10% met specification; the original found as a chance seedling in 1952 near Motueka in the north of the New Zealand South Island close to Nelson. Thought to be a Granny Smith x Lady Hamilton cross; the variety gained its name 'after' Braeburn Orchard where it was first grown commercially. In last week's Journal, we looked at an apple picking rig designed to speed up apple picking; The Pluk O Trak has been used extensively on fruit farms in Europe and there some operating in English apple orchards. The quest for a fully robotic apple picking machine continues, but research and development is bringing that closer. 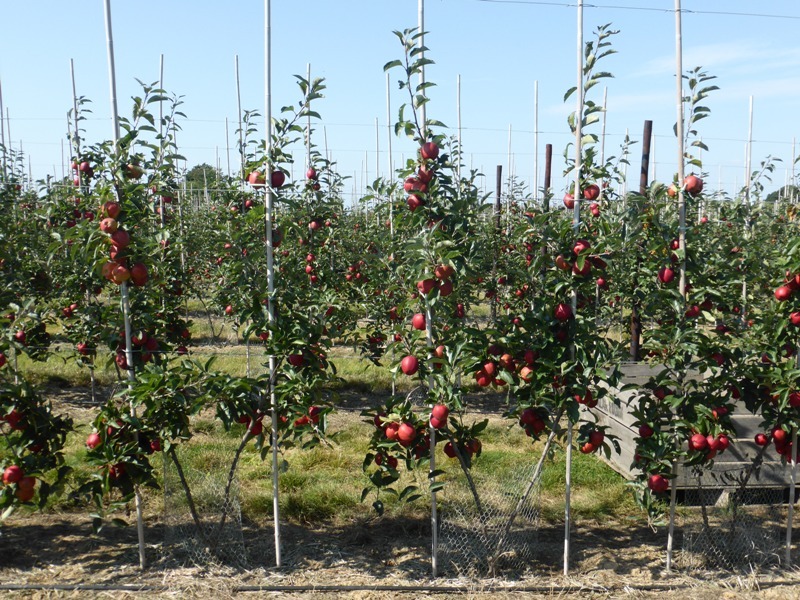 A California company that is developing a vacuum apple picker with support from the Washington Tree Fruit Research Commission has made significant progress on a prototype and is working to raise capital for commercial development. This utilizes the vacuum air system to pick and transport apples to the fruit bin: in 2011 The English Apple Man Journal for August 5th 2011 included a LINK to a development module using a vacuum system to transport apples picked by hand to the apple bin on board. 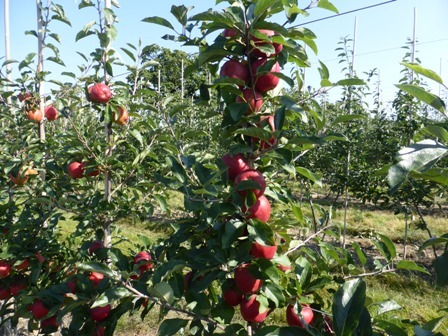 To view; click on Vacuum assisted apple picking and 'scroll down' to Augmented Harvest System. Financial returns to apple grower have been marginal for a 2-3 years and the impact is felt across Europe. Poland, one of the most competitive producers (low cost/high yields) has suffered more than most since the Russian import ban. Apple growers took to the streets yesterday to protest the current pricing situation they are facing in Poland. 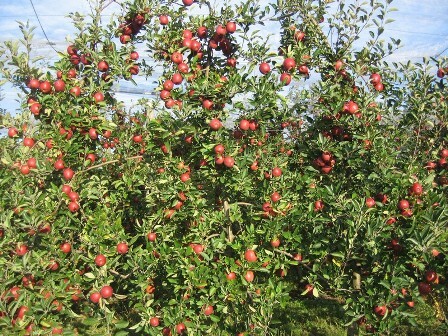 Organised by the Association of Polish Fruit-Growers Sadownikow RP, growers say there is very little difference between the price they are able to sell their apples for in the market, compared to what the apples cost to produce. This is especially true in the processing sector. Many at the protest stated that the low prices are a direct result of the Russian ban and have called for a government solution to help struggling growers. According to Marek Marzec from apple export company Ewa-Bis, the issue is 'both a simple and a complicated one'. "This whole thing came about at the beginning of the season when the prices were very low, especially for industrial apples. 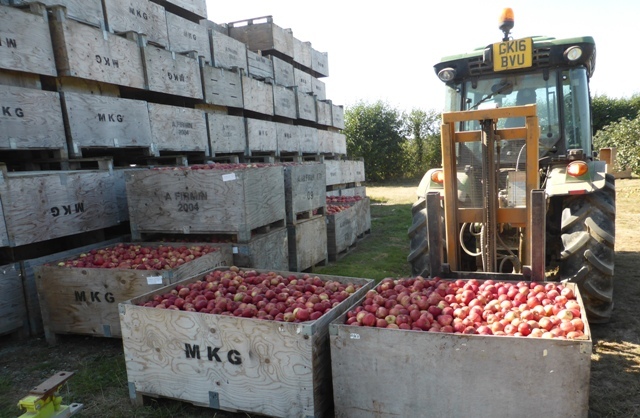 It is a tricky situation because many growers feel that the industry is to blame, but processors say that their hands are tied because they are also limited in what they are able to pay based on the set prices they receive for apple concentrate, which are also really low." said Marek. Marek said that the push for the Association to plan a protest was most likely a direct response after the European Commission announced that the buy back quota would be set at 90,000 tonnes this year, a figure almost three times less than last year. "I can only speculate as to why the European Commission has decreased the quota, but I think that it is because, unfortunately, the pork, dairy and grain industry are also struggling and the aide most be divided between the industries. I think that there is a lot of good will from the European Commission when it comes to subsidies, but unfortunately the apple growers are not the only ones who are struggling. There was also a call for the Polish government to take action, but they are in the same situation as the European Commission. 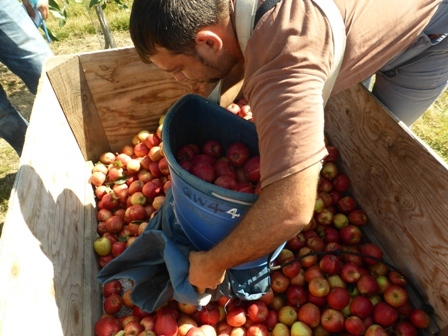 Funds are limited and the apple growers are not the poorest group of farmers." shared Marek. With export demand at the same level as to last year, Marek said that he expects the situation to stabilise at some point. He pointed out that growers need to be vigilant and make sure that they are only exporting apples of the highest standards, because a few bad traders can give other growers a bad name.